Around 247,000 people will fly in and out of the airport on Friday. It is truly humbling to listen to Lance Bombardier Ben Parkinson, the former paratrooper who cheated death in Afghanistan, describing himself as “lucky”. He slammed the UN for aiding Hamas! Little information was known about the nature of the arrests. He was assigned to 3rd Special Forces Group and was on his fourth overseas deployment. Martyn Day's firm made millions suing the MoD on behalf of Iraqis alleging British soldiers' wrongdoing. Former army officer Johnny Mercer MP accused Day of being 'dishonest'. Gavin Williamson also criticised France and Germany for not spending 2 per cent of their gross domestic product on defence, a Nato guideline. According to the Sunday Times, Theresa May has 72 hours to save her premiership before a crucial back-bench 1922 Committee meeting on Wednesday. CAMBRIDGE University students have turned their back on Remembrance Sunday poppies claiming the flowers which honour the fallen “glorify” war. The Golan Heights were a launch-pad for aggression against Israel from the rebirth of the state in 1948 until captured by Israel in a defensive war in 1967. The large window in Westminster Abbey has been designed by David Hockney. The former home secretary, who as David Blunkett was a key figure in Tony Blair's New Labour government, said Frank Field's resignation should act as a 'catalyst for seismic change'. 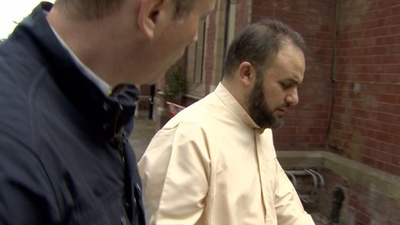 The mosque attended by the Manchester Arena bomber denies the claims about the sermon.